It’s a sad, but true, fact that liberal Hollywood likes to spread the propaganda of its progressive allies. Nowhere is this more evident than in the censorship of conservative speech and films that promote traditional values. But one current movie has defied the odds and is showing Hollywood that we won’t be silenced. The movie, Unplanned, is based on the true story of pro-life warrior Abby Johnson. But after a startling wake-up call in which she was asked to assist in an abortion, she quit her job, never to return. Not only that, but Johnson has made it her mission to fight for life. She started the group, “And Then There Were None,” with which she helps former abortion workers leave the industry. Hundreds have followed her amazing example of redemption. The film is based on Johnson’s book of the same name detailing her life’s mission and the horrific behind-the-scenes details of what goes on at Planned Parenthood clinics all over the world. Mommy Underground recently reported on Abby Johnson’s amazing story and how the film came to be. But because Hollywood insiders didn’t want the film to be seen – citing “violence” as the reason – they saddled it with an “R” rating, and it was to have only a limited release in theaters. Of course, nearly every modern film is full of violence and gore, profanity, and overt sexual scenes – business as usual for liberal movie makers – and they often don’t receive an “R” rating. But the rating of violence was given to attempt to control who has access to this life-changing film. With the exception of conservative, Christian news outlets, the media has also stayed silent on its coverage of the film. Even so-called “family friendly” cable channels like Hallmark and HGTV refused to run ads promoting the film. The only outlet to do so was conservative Fox News. Of course, Hollywood and the entertainment industry don’t want to draw attention to the film’s message or its power to change the status-quo. That would mean jeopardizing all the money they rake in from wealthy left-wing corporations. Despite their efforts, Unplanned opened to rave reviews in its first weekend – even garnering an A+ rating from CinemaScore, and will now be shown in more than twice as many theaters as originally planned. The movie was in the top five of all releases nationally on opening weekend. It’s obvious the majority of Americans want to know what the left tries so hard to hide. Twitter even came under fire this week for apparently suspending the movie’s account. It was unexpectedly shut down on Saturday of the opening weekend. The social media giant claims it was accidental, but we all know better. “It is a sad time we live in when corporations can remove individuals freedom of speech at will. When did we empower these corporations to have such authority? More importantly, why do we empower them to do so?” said the film’s director, as reported by Life News. Users posted screenshots of the account’s status, even tagging Twitter CEO Jack Dorsey. The account was reopened Sunday, with Twitter making excuses that they did not purposely censor the film, but that the Unplanned account may have been “linked to another account that had violated Twitter’s rules,” according to Life News. They supposedly reviewed the case and found that the Unplanned account should not have been affected by the original account that was suspended, and the account was restored the following day. 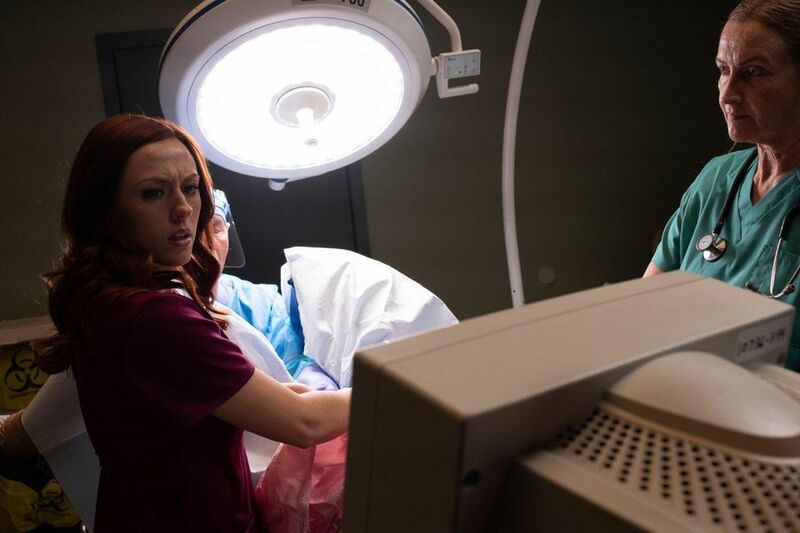 Unplanned has already doubled the box office earnings of what the producers expected, and pro-lifers and others who are intrigued and inspired by Abby Johnson’s story are spreading the word. Most Americans still believe in the traditional values our nation was founded on. We won’t be silenced in defending those rights, and we will defend those who cannot defend themselves. They are helping the creators of Unplanned to exceed all their expectations for the film, they are inspired by Abby Johnson’s story of salvation, and they are standing up to progressive tech giants who don’t believe in freedom of speech if it is from a conservative viewpoint. Congratulations to Abby Johnson and the entire team behind the making of Unplanned, and we hope the film continues to spread the pro-life message to others. Have you seen Unplanned yet? What did you think? Leave us your comments.